Buy online LM331 Voltage to Frequency Converter in India at low price from DNA Technology, Nashik. 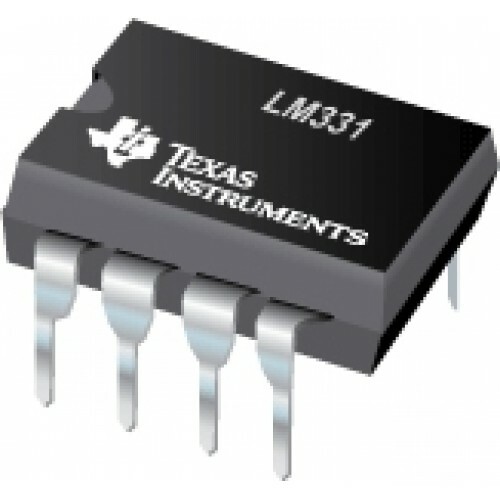 The LM331 is a voltage-to-frequency converters are ideally suited for use in simple low-cost circuits for analog-to-digital conversion, precision frequency-to-voltage conversion, long-term integration, linear frequency modulation or demodulation, and many other functions. The output when used as a voltage-to-frequency converter is a pulse train at a frequency precisely proportional to the applied input voltage. Thus, it provides all the inherent advantages of the voltage-to-frequency conversion techniques, and is easy to apply in all standard voltage-to-frequency converter applications. Further, the LM331A Voltage to frequency converter attain a new high level of accuracy versus temperature which could only be attained with expensive voltage-to-frequency modules. 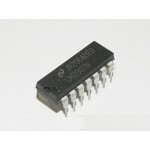 Additionally the LM231/331 are ideally suited for use in digital systems at low power supply voltages and can provide low cost analog-to digital conversion in microprocessor controlled systems. And, the frequency from a battery powered voltage-to-frequency converter can be easily channeled through a simple photo isolator to provide isolation against high common mode levels. The LM331 utilize a new temperature-compensated band-gap reference circuit, to provide excellent accuracy over the full operating temperature range, at power supplies as low as 4.0V. The precision timer circuit has low bias currents without degrading the quick response necessary for 100 kHz voltage-to-frequency conversion. And the output are capable of driving 3 TTL loads, or a high voltage output up to 40V, yet is short-circuit-proof against VCC. 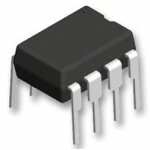 LM2907 Frequency to Voltage ConverterThe LM2907, LM2917 series are monolithic frequency to voltage c..
AD654 Voltage-to-Frequency ConverterThe AD654 is a monolithic V/F converter consisting of an input a..